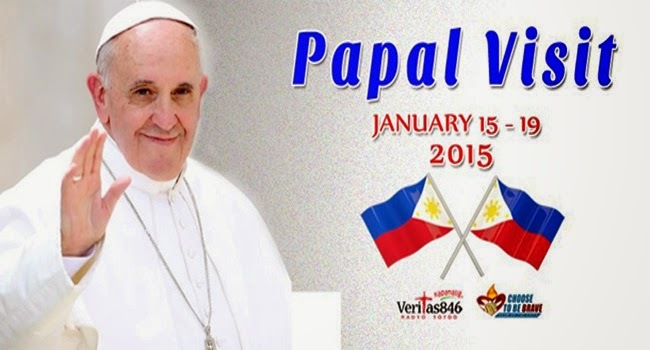 January 2015 is a historical moment because the Supreme Pontiff would visit our country for five days. Because of this momentous event, President Benigno Aquino III has released a Presidential proclamation under Proclamation No. 936, stating that the dates January 15, 16 and 19 would be considered non-working holidays only in Manila. The Supreme Pontiff would visit the country for five days but January 17 and 18 would fall on the weekends. This is to allow more Filipinos to witness the visit of Pope Francis to the Philippines. Pope Francis is expected to arrive on January 15 with President Aquino welcoming him at the Villamor Air Base. On January 16, a formal welcome will be set at the Kalayaan grounds of the Malacanang Palace. Aside from President Aquino, he would also meet with other top government officials, members of the diplomatic corps at the Rizal Centennial Hall of the Palace. The pope would then proceed to the Manila Cathedral for a Mass. He is also scheduled to visit Tacloban on January 17 to hold a Mass at the Daniel Z. Romualdez Airport in the morning. Yolanda survivors from all over Eastern Visayas would also join him for lunch in the town of Palo, Leyte. There, he would also inaugurate the Pope Center for the Poor. On January 18, the Pope is set to meet with ten leaders of different religions in the University of Sto. Tomas. This is to emphasize the openness of the Roman Catholic Church to all other religions. Three representatives from the youth sector would also be given a chance to have a dialogue with Pope Frances on the same day. Designated areas all over the UST campus would be opened to the public for those who would want to have a glimpse of the Supreme Pontiff.